Samoans are a three-piece from Cardiff in Wales that have been on my personal radar since 2009-ish when I caught them playing the infamous Clwb Ifor Bach in the Welsh capital. Their style of math-rock inspired guitar music caught my attention straight away and I've been following them ever since. It has been somewhat of a wait then until 'Elevated Reflections', their debut EP to come out, however the wait has been more than worth it. Frontman Dan Barnett is not only a decent singer with a great vocal range, but also an excellent guitar player, with his riffs and fret tapping (if that's the right phrase...) being hard to not get transfixed by. The music is melodic, heavy in parts, but also tender too, with the standout track being 'Catamaran'. 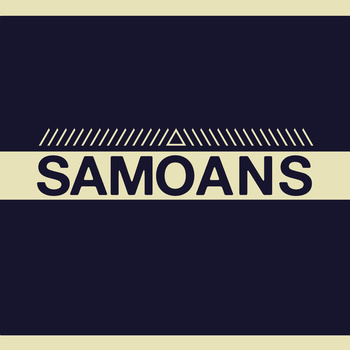 Having recently played the Introducing Stage at the Reading and Leeds Festival, Samoans are hopefully poised for bigger and better things to come in the future, starting with the release of this strong EP, which is out now through Barely Regal Records.